Introduction to Java Programming is a textbook for software developers to familiarize them with the concept of object-oriented programming (OOP). 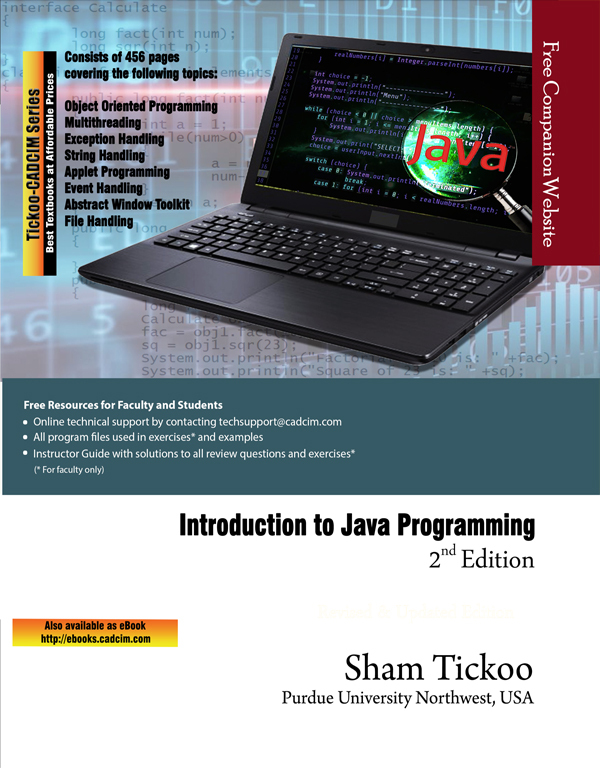 The textbook enables the reader to understand the basic features of Java. 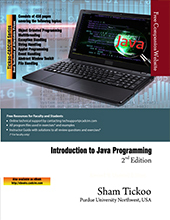 The line-by-line explanation of the source code, a unique feature of the textbook, enables the students to gain a thorough and practical understanding of Java. The chapters in this book are structured in a pedagogical sequence, which makes this textbook very effective in learning the features and capabilities of the software. Each concept discussed in the book is exemplified by an application to clarify and facilitate better understanding. This textbook introduces the key ideas of object-oriented programming in an innovative way. The concepts are illustrated through best programs, covering the basic aspects of Java. Additional information is provided to the users in the form of notes. There is an extensive use of examples, schematic representation, screen captures, tables, and programming exercises.